Second Hand Boards is your ultimate online platform for buying and selling used surfboards - 100% free to use for everyone. 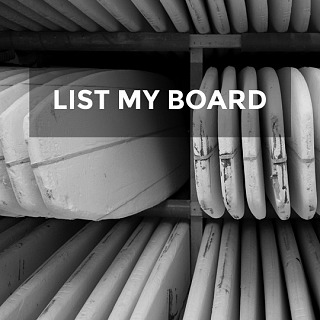 Sell your surfboard by placing a listing in front of thousands of visitors per month. Browse used surfboards near you. Let’s face it, buying a surfboard can be a grueling process. Whether searching through surf shop racks hoping to find that right board, or browsing general auction/social sites not designed to narrow down your search, the process is often time consuming and frustrating. And those selling their surfboards are charged high listing or commission fees when using the popular marketplace sites. Well that didn’t seem right to us! So we made things simple, and free. We created the site to connect buyer and seller, and give you all the tools you need whether you’re looking to sell your surfboard or find the exact board you want. We are a 100% free service and always will be, so you never have to worry about spending your hard earned money on listing or commission fees again. And finally, other online marketplaces are unspecified whereas we are surfboard focused and we aim to build a safe community for surfers to buy and sell used surfboards. Become a part of the SHB community today! C'mon, get on board. Simplicity is the name of the game here at SHB. 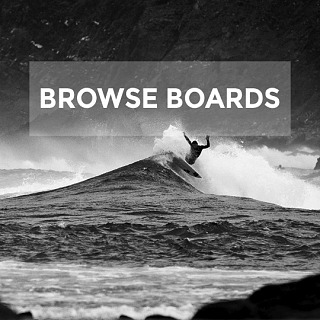 List your surfboard for free on the site in just minutes. Your surfboard will be automatically listed on our search page, and featured in our latest used surfboards on the homepage. We also promote surfboards across our social media for maximum exposure. If you’re looking to buy a used surfboard, our tools will help you narrow down the search to find exactly what you’re looking for. Once you’ve found that perfect board, contact the seller to arrange a viewing or the terms of the transaction that work best for both of you. Sign-up to the site is only required when you choose to contact a seller or if you're looking to sell your used surfboard. Once registered, everyone benefits from our MySHB interface where you can message other users, save your favorite boards, searches, manage listings and set alerts. We also offer a comprehensive Surfboard Guide to help you find a used surfboard that’s right for you. For more information on how it works check out SHB. 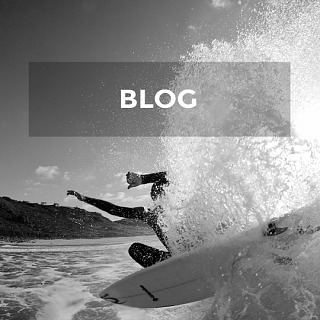 There are many reasons why buying a used surfboard is a great idea. It’s not just about saving money although that should be reason enough. A more advanced surfer looking for popular brands like DHD, Rusty, JS or Channel Islands will be all too familiar with the hefty price tag they come with. And those new to the sport will soon understand that it’s hard to find suitable cheap surfboards to learn on. It makes far more sense to buy your first surfboard second hand. In fact used beginner surfboards always hold their value which is great when wanting to re-sell when you’re ready to progress onto something a little more progressive. Just remember that new boards quickly lose value whereas used boards don’t. If you buy a new board, as soon as you hand over your cash, the value of that board will instantly decline. But if you buy a used surfboard & keep it in reasonable condition, you can always resell it & get most of your money back - every time! It is our priority to ensure that all SHB users have a safe, secure and successful buying and selling experiences using our platform. As a community website, we support face-to-face, local trade whenever possible. Meaning, if you live in San Diego, it’s best to look for a used surfboard in San Diego, ahead of venturing out to other locations. Let’s face it, most of you will want to check the surfboard out in person and actually see how it feels under your arm before buying it. This is why the map is such a prominent feature on the site making it easier for you to find used surfboards near you! Second Hand Boards provides the ultimate platform for buying and selling surfing boards. 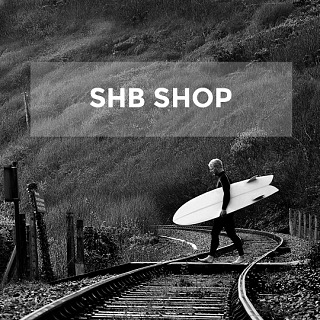 Designed specifically for surfers, SHB is 100% free for all our users and always will be. Our listings expire after 90 days, so our inventory is always fresh and up to date. Not only are used surfboards far cheaper than brand new boards, they will also help you improve as a surfer. If you buy and sell used, you’ll typically have more boards to try and so you will surf a wider variety of boards. Variation is the spice of life and there’s no doubt you’ll always keep your surf stoke alive. If you surf more, you’ll improve quicker. And when you’re ready to pass on an old surfboard, you’ll be able to get most your money back. It’s pretty hard to find a good quality, cheap surfboard that’s brand new. The most affordable surfboards can be found at big box retailers, which focus on beginner shapes but sadly don’t provide much of a choice to pick from. Mainstream surfboard produces tend to focus on the high-end side of manufacturing making new surfboards that are very pricey. Your best choice for finding a cheap surfboard is to buy second hand. After a quick search on our site, you’ll be surprised just how much more affordable a used surfboard is, and usually ridden just a few times! Choosing your first surfboard will depend on your age, weight, general fitness and your budget. Beginner surfboards will always have a round nose and will range between 7’0” & 8’4”, with an average size board being about 7’6” in length. Designed to remain buoyant in the ocean, beginner boards will paddle into waves easily & provide enough floatation to help you get to your feet more easily. Our site provides plenty of board choices for learners including soft tops, minimals and funboards.